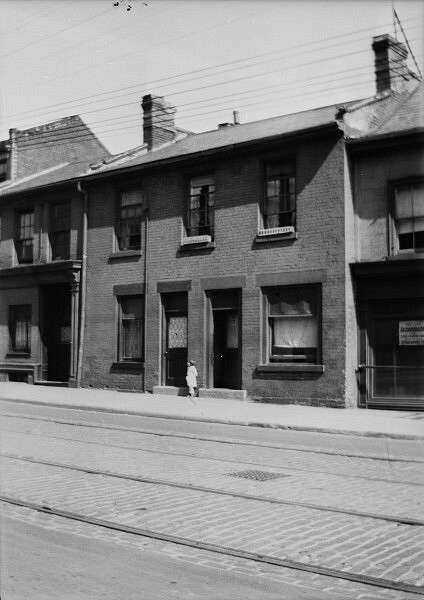 The properties at 399-403 King Street East, known as the Francis Beale Buildings, were constructed in the mid-19th century in the Georgian style. In the late 19th century they came under the ownership of the Little Trinity Church community and were used for commercial purposes before eventually falling into disrepair. Little Trinity Church was able to amass the funds required to restore and adaptively reuse the buildings, with ERA Architects acting as the heritage consultant, alongside DTAH Architects who were the prime consultant on the project. 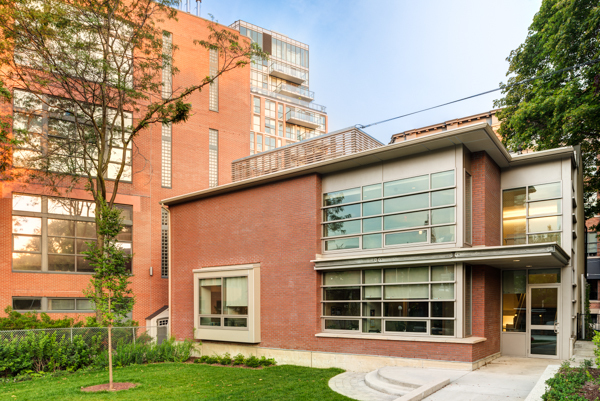 Restoration work included retention in place of the north brick elevation and comprehensive masonry repairs, along with reinstatement of original windows, doorways and wood shopfront details. 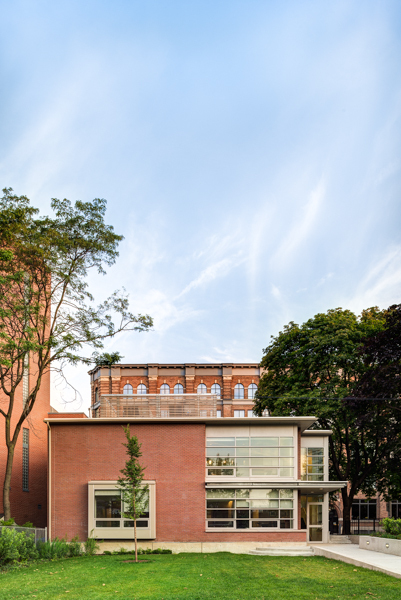 The renewed Little Trinity Annex building now houses a new administrative centre that offers community services such as meeting spaces, offices, commercial space, a youth lounge and backyard children’s play area. 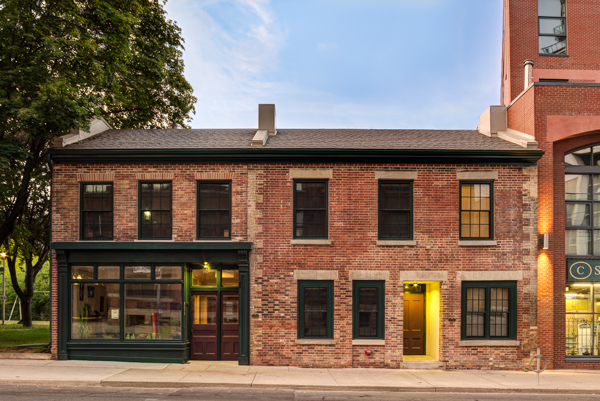 "Restored townhouses keep Corktown quirky despite gentrification"